The power and speed of a boxer’s punches are one of the keys to success. After all, every single one of the finest boxers in history have been renowned for being fearsome punchers. Some of this can come down natural talent and power but mainly it is all about practising hour after hour in the gym or at home. There is no way that the likes of Mike Tyson, George Foreman and Lennox Lewis were born with that terrifying combination of power and speed. 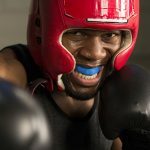 Every boxer needs to work with punch bags to hone their style and technique. This looks like one of the most exciting parts of a boxing training routine to the outsider, as punch after punch hits home with a satisfying thud. The truth is that it is exhausting work and can get boring after a while too. 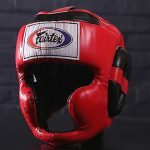 However, choosing the best punch bags for your needs is vital to make it worthwhile and also as enjoyable as possible. 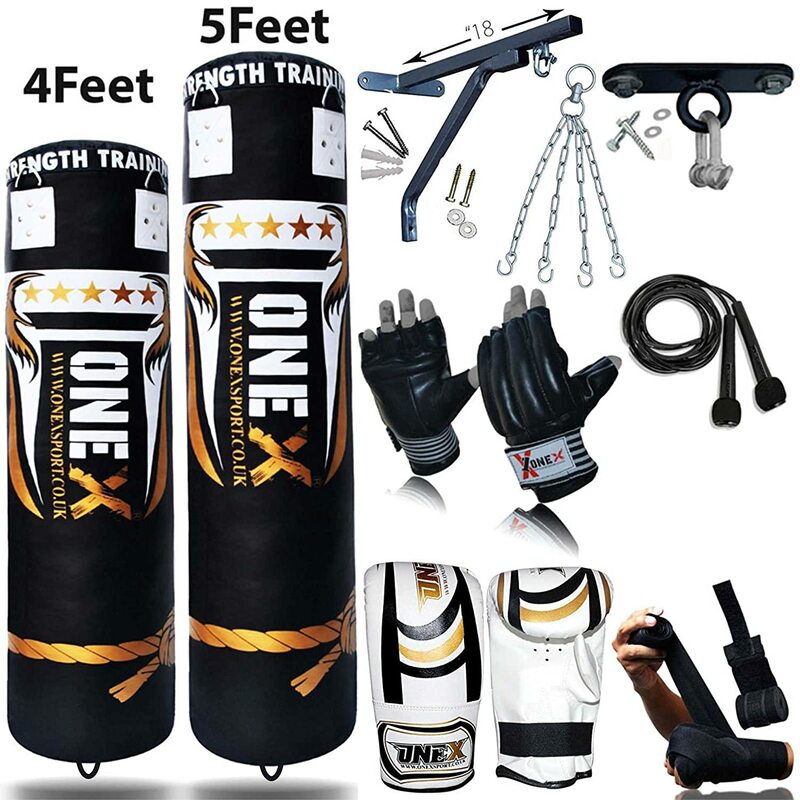 Even a complete newcomer to this sport is likely to be able to name two types of punching bag; the small bag that is hit rapidly and accurately, together with the big, heavy bag that takes the power shots. The truth is that there is a bit more variety for you know about than just this, although it is a decent starting point for a beginner. Standing Heavy Bag. This bag is used for strength training and provides a high level of resistance. They are typically filled with sand, natural fibres or water. This model sits on a stand and can often be moved about on wheels so that you can train in different places. They are also typically used for fighters who need to practice their kicking as well as punching. Hanging Heavy Bag. In this case, the bag is typically either hung from the ceiling or else attached to the wall. The wall mounted option is good for small spaces but the ceiling mounted option is better for giving you more versatility and punching surface. Hanging bags are useful for practising speed and building up strength but not for anyone who plans on kicking as well as punching. This kind of bag will typically be permanently mounted in one place. Not sure whether a hanging heavy bag or a freestanding one is for you? Check out our comparison article. Speed Bag. This type of bag is smaller and is used for fast punching workouts that improve speed and timing rather than pure strength. It is set up on a spring that brings it back to the fighter after each punch. They can be attached to the wall or to the ceiling. Double Ended Punching Bag. With this model you get a small bag about the size of a football that is hung in the air with coils attaching it to both floor and ceiling. It comes back quickly at you after being hit, so it provides an intense workout in which you have to move around to avoid it. This option takes up a fair bit of room, as you need some space to manoeuvre yourself around it. Uppercut Bag. 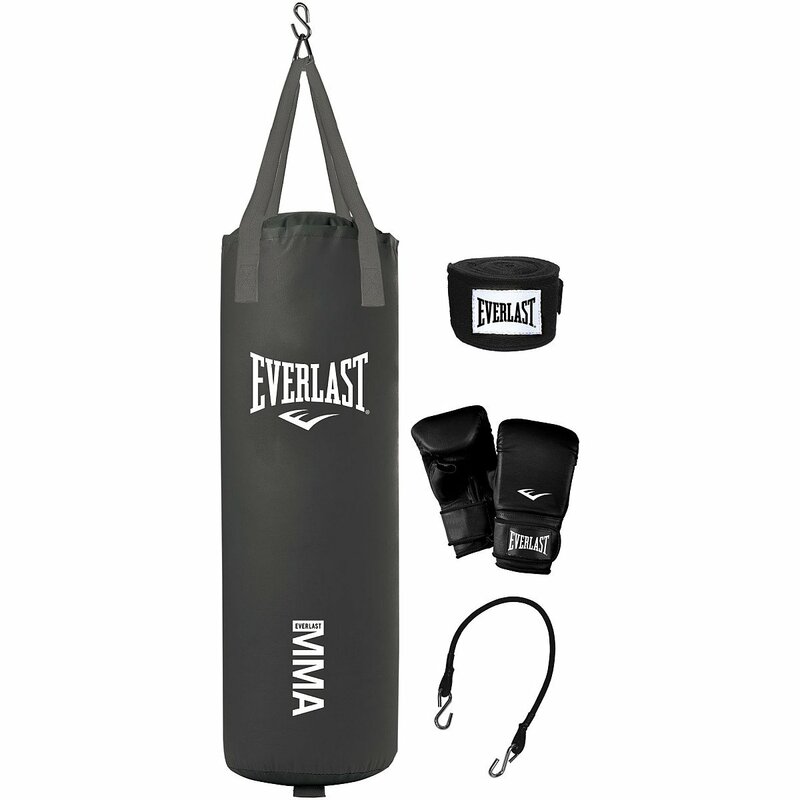 This type of bag is smaller than the heavy bag but bigger than the speed bag, and is set up on a horizontal basis. This means that it is ideal for practising uppercut blows. It is permanently set up by hanging from the ceiling or fixing to the wall. 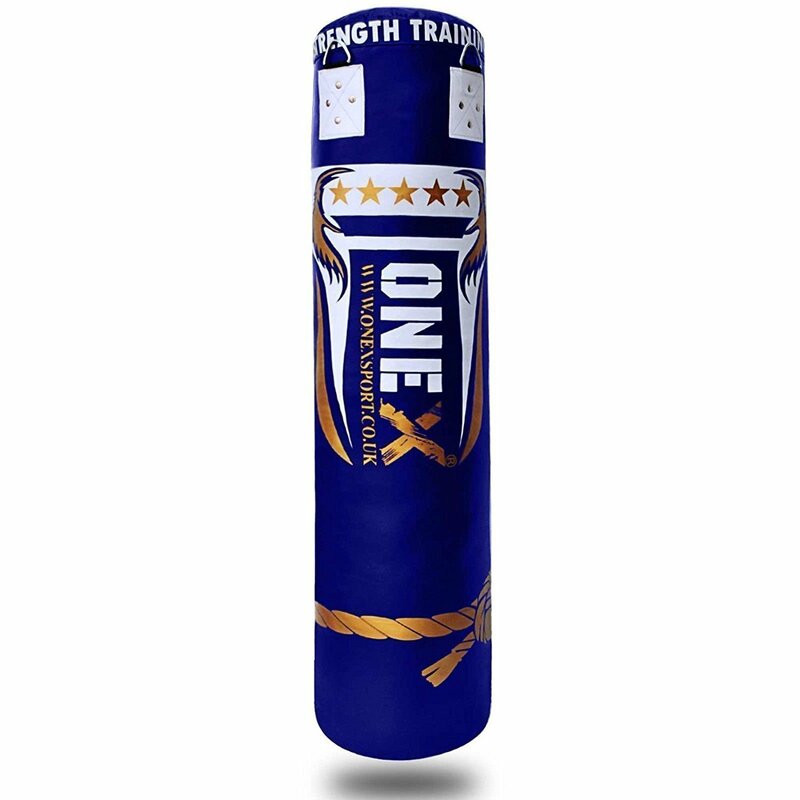 There are a few factors to take into account when looking for the ideal punching bag. These include the size, the weight and the materials used. Size. As we have seen, the different types of bag all come in different sizes according to their use. The smaller the bag the harder it will be to hit accurately, while bigger bags will be heavier and will tire you out more quickly. Weight. Typically, a heavy bag will weigh between 50 and 70 pounds (22 to 32 kilos). If you weigh more or less than the average boxer then you will want to vary this accordingly. In the same way, an experienced boxer may decide to go up to around 100 pounds (45 kilos). Weight isn’t such an issue in speed bags and they all weight pretty much the same anyway. Adjustable Weight Bags. The heavy bags that are filled with water or sand can often be adjusted by adding or removing material from them. This can be useful if different people are going to be using it or if you are just getting started and building up your strength bit by bit. Materials. Leather is a classic punching bag material that feel good when you punch it. A cheaper open is to choose vinyl, which isn’t quite as comfortable but can be far more economical. 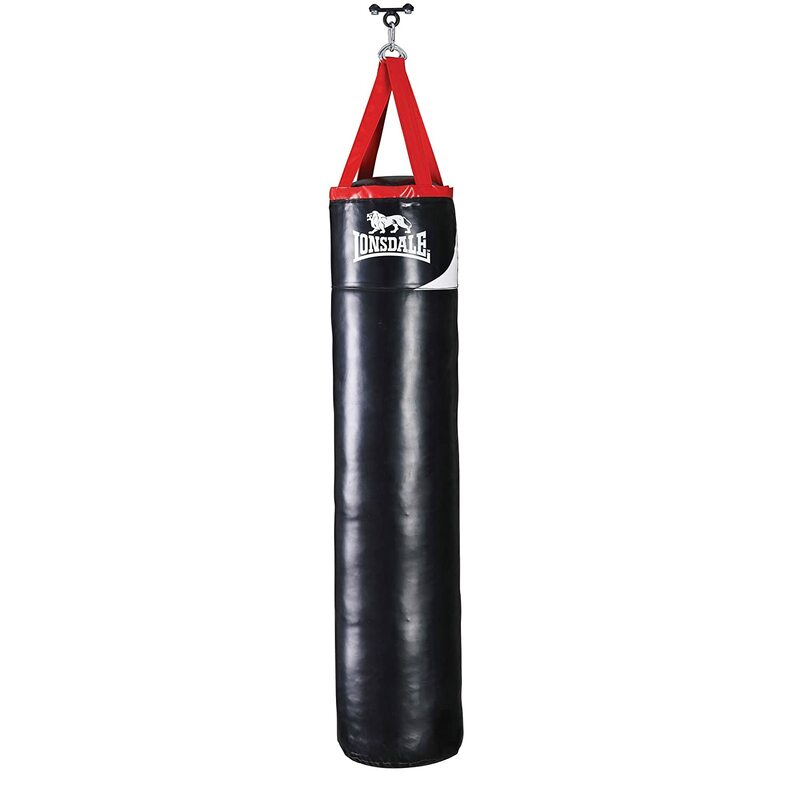 There are a few tips that will help you to choose the best punch bag for your needs. Can you adjust the height? If you are able to adjust the height then this is going to give you more flexibility. If you can’t then you will typically need to choose between 3ft, 4ft and 5ft models. The right one for you will largely depend upon your own height and you might want to try some bags out to see which one is most comfortable. Can you adjust the weight? 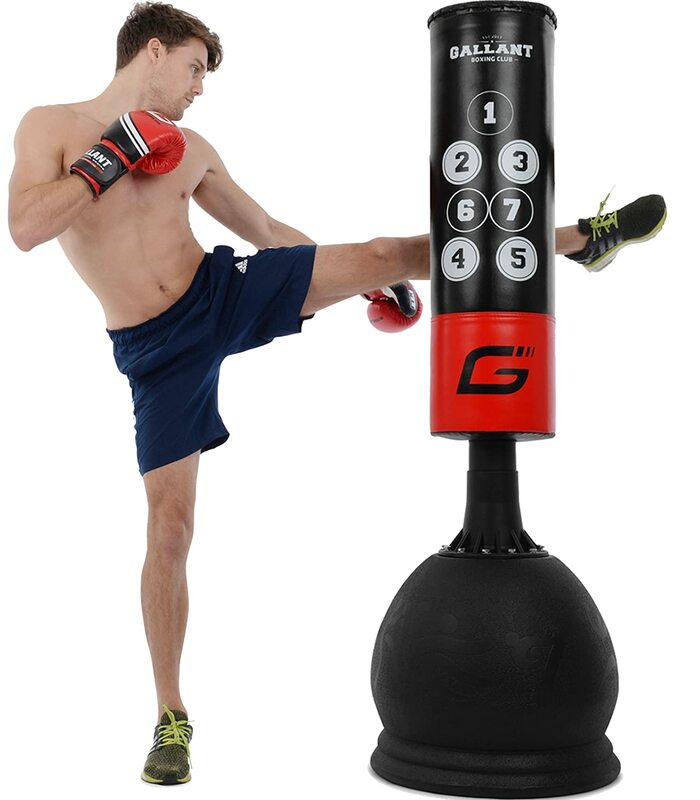 It is also possible to adjust the weight in some of the top punch bags. This is often done simply by unzipping the top and pouring in some extra sand. This is a nice feature if you are starting out and want to get going gently but plan to do heavier punching soon. How durable is it? You will want a bag that stands up to plenty of punishment, as you will be raining thousands of punches on it in the months and years to come. Do it come with a guarantee and does it use quality materials? Safety issues. Are you going to hurt your hands when you punch it for a long time? Will it be safe and steady even when you hit it with your full power? How easy is it to hook up? A lot of punch bags come with the hooks and chains that you need to connect them to the ceiling or wall. This means that hooking them up is a simple DIY job. Have a look at the fittings that come with it and what reviewers say about how easy it is. Does it contain instructions? The price? Clearly, not everyone is a pro boxer who can afford to spend a lot of money on a tip quality bag. For most of us, the right price means that it is affordable and also gives us a good quality product. Buying the cheapest punch bags can lead to having to buy another one soon. What accessories does it come with? A good punch bag kit will typically come with gloves, hand wraps and maybe a few other accessories. This can be perfect if you are starting out and want to build up a good collection of gear. Experienced boxers who already have equipment might prefer to just buy a bag on its own. There are a number of long-established brands that will give you confidence in the quality of their products right away. 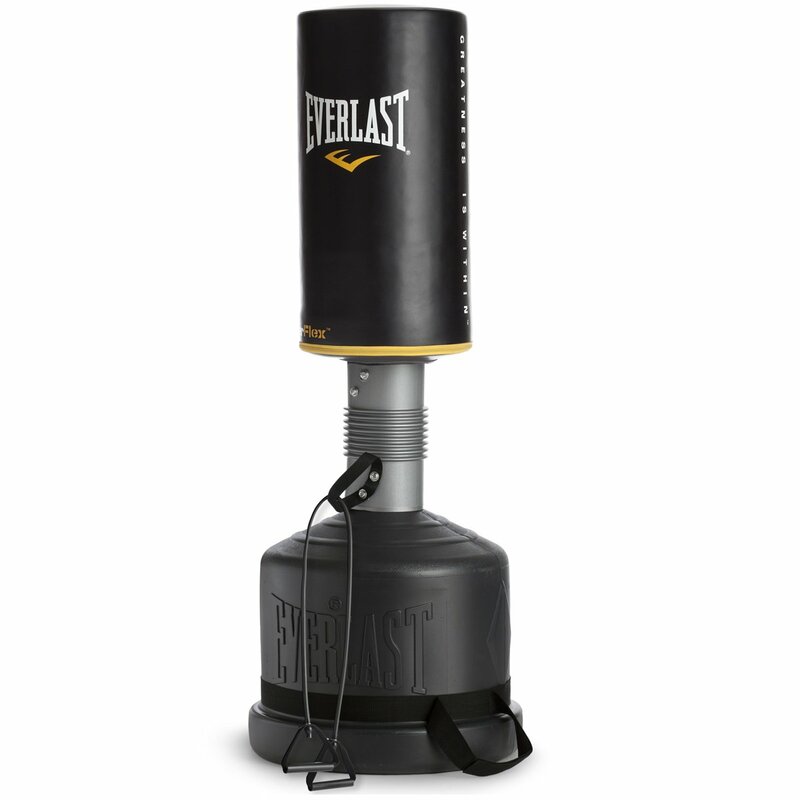 Described on their own site as a global leader in boxing equipment, Everlast has an excellent range of varied bags. They aren’t the cheapest around but they come with a formidable reputation for quality and durability. Another solid, historic name in the boxing world, Lonsdale is a name that you can trust. Again, expect a big selection of pro quality bags that are pretty expensive but that will last you for year after year no matter how hard you punch. Their models have a timeless look to them too. There is a nice variety of leather bags on sale from this well-known manufacturer. They are sturdy and also pretty stylish. Their kits are especially attractive for beginners wanting to buy a full training set. You will get a good value, dependable punch bag from this firm. Elegant looks and durability are the order of the day here. Expect an empty canvas bag that you can fill up with anything you want to.